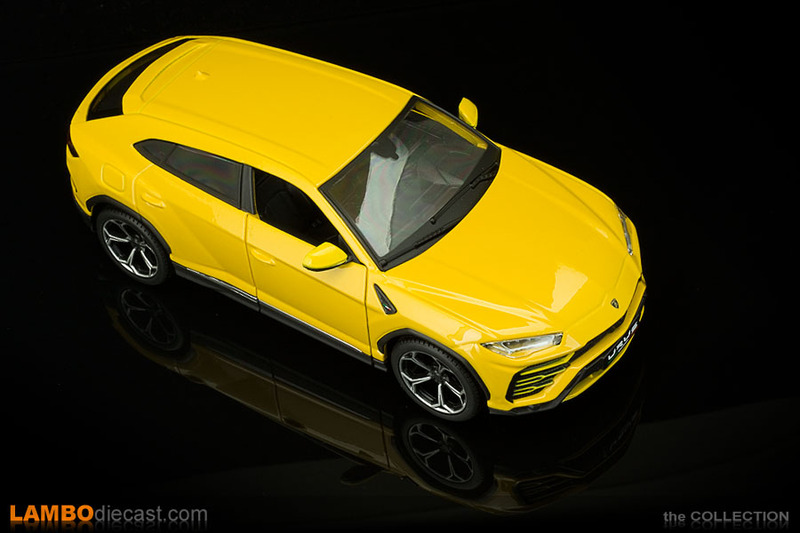 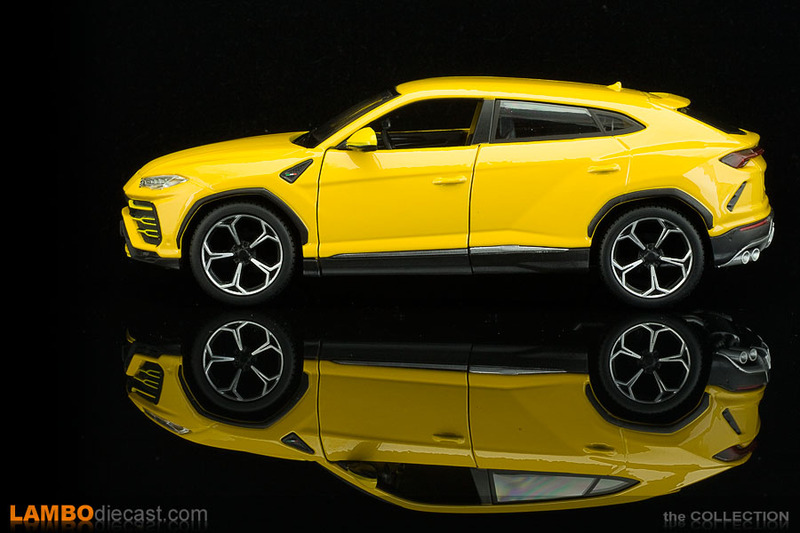 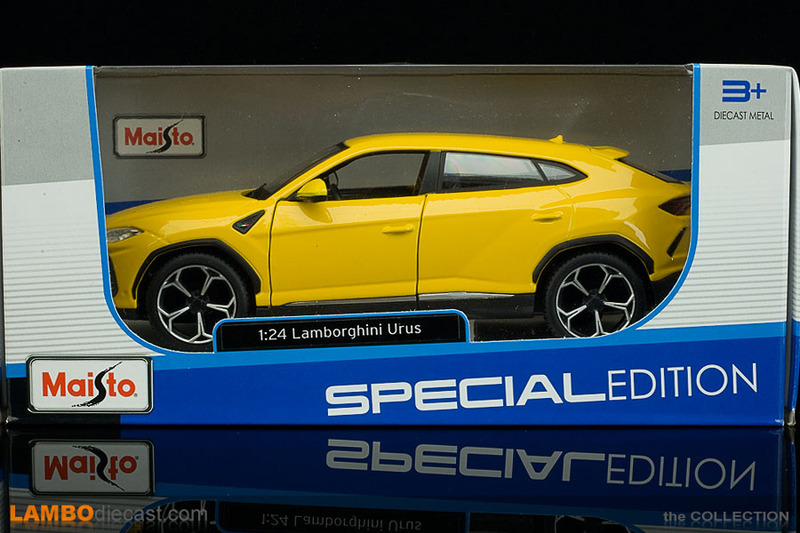 The Lamborghini Urus is set to become a gamechanger for Automobili Lamborghini SpA, the car that will make sure the brand new factory can keep building these Super SUV at a steady pace ... when Bburago released a 1/18 model in both Giallo Auge and Grigio Lynx, I didn't hesitate and added both models to my collection. 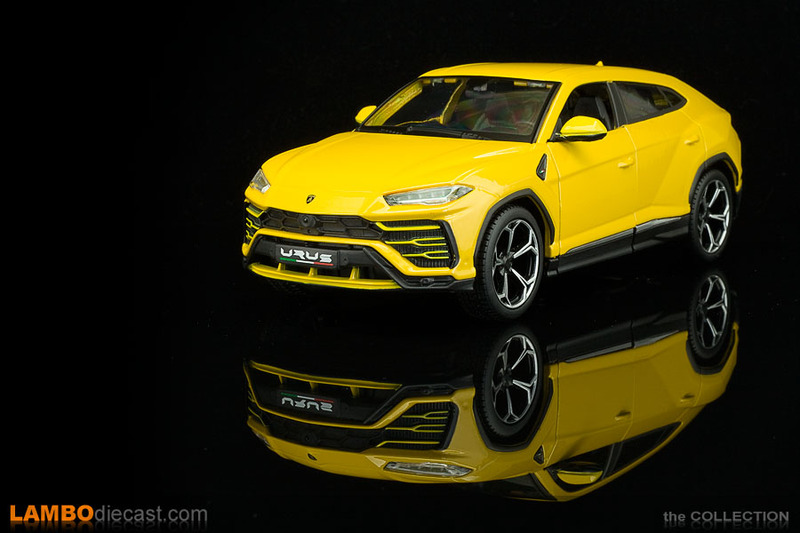 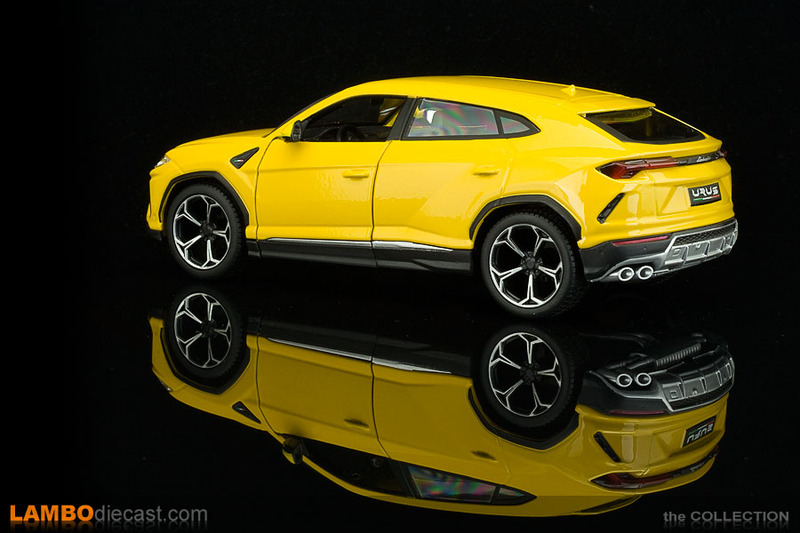 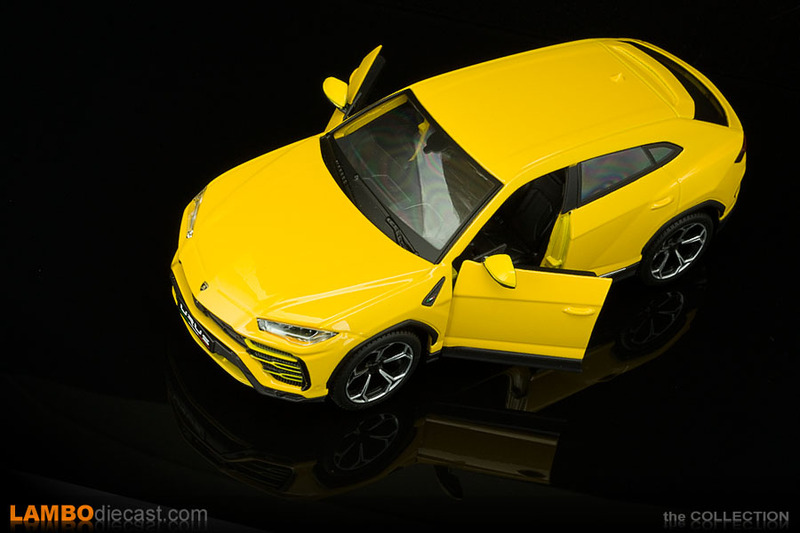 It turned out Bburago played another trick on us, just like their Aventador model that was a 1/19 scale instead of 1/18, their Urus model was even worse ... to make sure it fitted into the standard box they made their Urus a 1/20 scale ... which was unfortunate, to say the least. 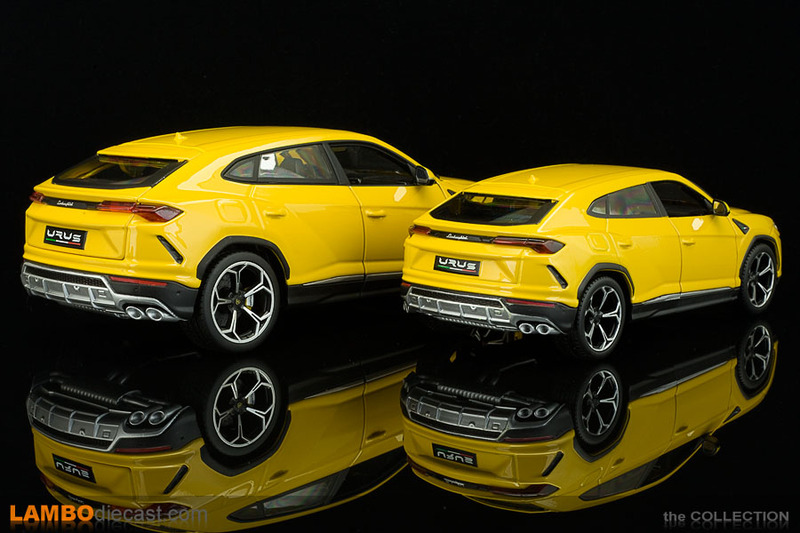 But now we get a pair of 1/24 scale models from Maisto (which in the end is owned by the same holding as Bburago), also finished in yellow and grey, priced at €15 each I added both to my order, and for their intended market segment, these do look rather nice. 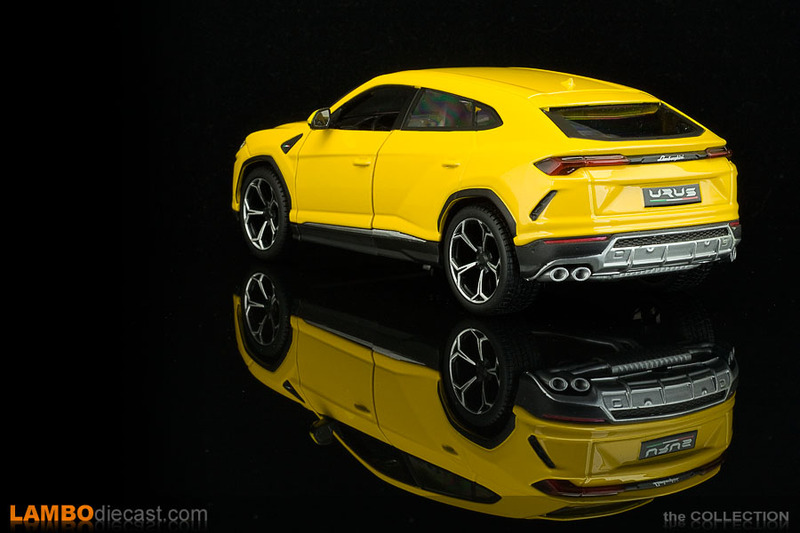 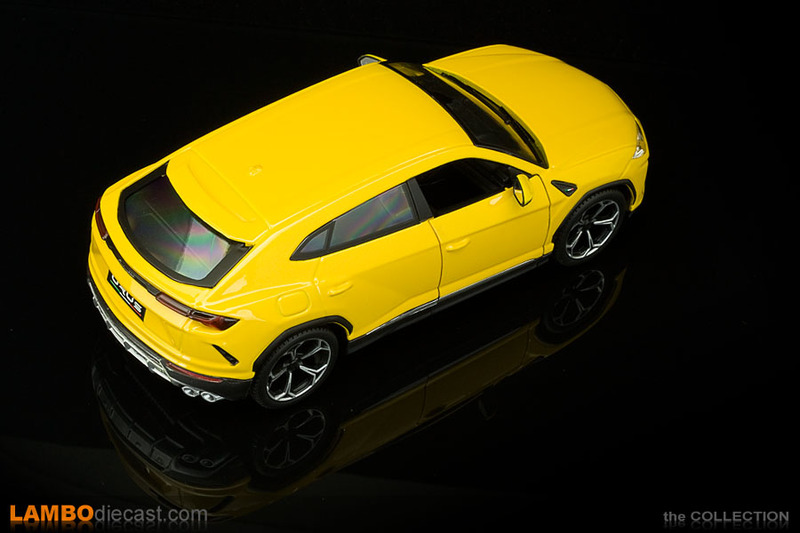 Now we have to understand the 1/24 scale is not the most popular one in diecast, when talking about plastic model kits, this is probably the most successful scale, but for a metal diecast model this is more a 'toy' than a collectible scale, same with these Urus models ... they aren't the best detailed out there. 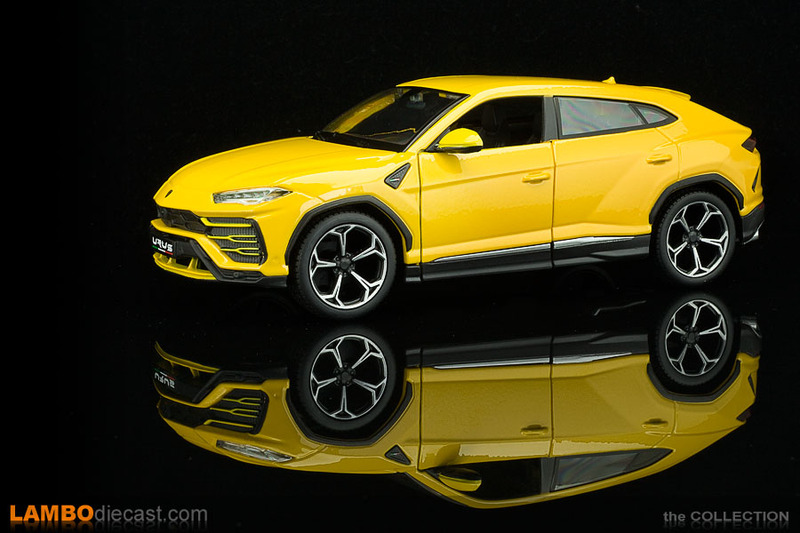 For one, there are no disk brakes (hence no calipers either), but the center cap on the wheels is blank too, no Raging Bull logo, and on these Maisto models, only the doors open, no engine hood, no rear hatch ... all fixed. 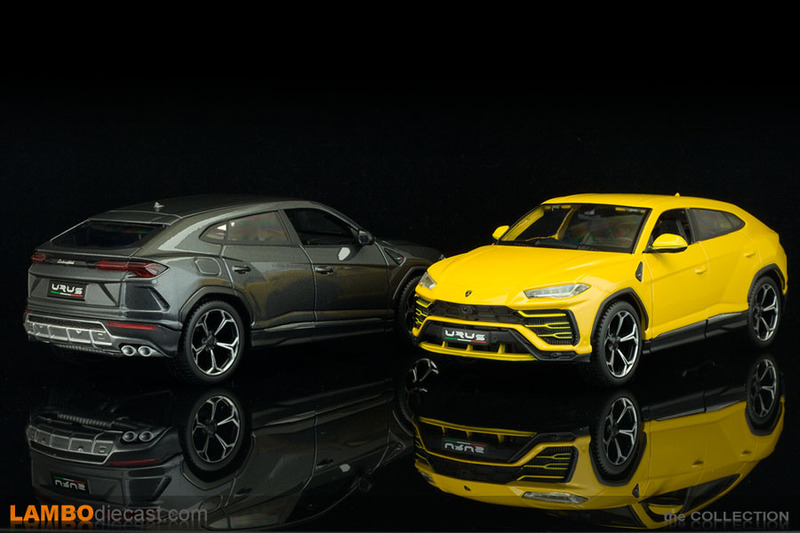 But still, these are Lamborghini models, and at this price point, I have no problem with these 'negative' details.